On the fast track to nowhere. After an obligatory rest day following the New Year’s Race half marathon, I hit the gym this morning excited for a maintenance run and a little speed work. Nope, I live in Los Angeles. And it’s very nice today. Again, you’d be wrong. I’ve got a fear of heights and clowns creep me out a little, but I love the outdoors. No argument there, but for other reasons entirely. I find it funny that at times I must defend the treadmill to some of my fellow runners. They shoot me a look like I’m some kind of running Benedict Arnold or… well, I can’t think of any other famous traitors right now… but you get the idea. For the record, I typically do my maintenance runs (Tue. & Thu.) on a treadmill, while my long run on Saturday is always outdoors (come rain, shine, locusts or any other biblical plague). I’m not sure why some runners dislike treadmills so. After all, what did they ever do to you? And like stationary bikes, rowing machines and stair climbers, treadmills may be indoor doppelgangers of their real world counterparts, but they do serve a purpose and can certainly help you get in shape if used properly. Back in 2008 when I first decided to ditch my spare tire, I felt a treadmill might help me achieve some semblance of healthiness. I bought one and placed it right next to the couch… not very feng shui, but interior decorating was never my strong suit anyway. I made a deal with myself that if I was going to watch TV, I would be on the treadmill running or walking. I remember watching the 2008 Olympic Games live from Beijing (nothing like basketball at 6am… USA! USA!) all while running on my treadmill. I also caught up on seasons of DVDs, cheering Jack Bauer as he saved Los Angeles on more than one occasion, as I chugged along on that never-ending belt. Running on the treadmill worked for me, helping me to go from being a couch potato to at least a potato in motion. And speaking of potatoes, being on a treadmill also kept me from eating potato chips on the couch. When I got serious about running in the fall of 2008, it felt like a natural progression to incorporate the treadmill into my marathon training. Eventually I moved and my treadmill went into storage. My new apartment was on the 2nd floor and I couldn’t very well pound on my downstairs’ neighbor’s ceiling at 6am every day (I’m not quite that heartless), so I started using the treadmills at the gym. Now I run in the early morning while listening to my music and watching ESPN SportsCenter (with closed captioning) or some documentary on The History Channel. So, as I ramp up my running to new heights in 2014, the treadmill will continue to be part of my day-to-day training, whether it be for maintenance runs or for needed exercise when I’m traveling for business. And I think when “24: Live Another Day” comes out this May, I might drag my old treadmill out of storage and watch the series that way, just for old time’s sake. That Jack Bauer is one loose canon. Note: If you’re going to run on a treadmill, realize that the readings may not quite be accurate when it comes to speed and calories burned (they tend to err on the higher side). And you should also run at a 1%- 3% incline to better simulate outdoor running. 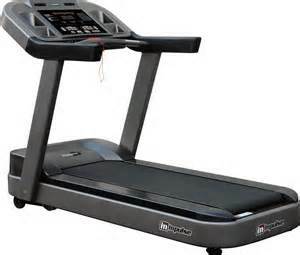 Posted on January 7, 2014, in General, Humor, Training and tagged SportsCenter, Treadmill. Bookmark the permalink. 1 Comment.